iTel P13 Specification, Image and Price in Nigeria, Kenya, Ghana, Egypt, Ivory Coast, Tanzania, Cameroon,Uganda, Pakistan, India, Bangladesh. The iTel P13 comes with a 5.45 inch display and boasts of a 1.3 GHz Quad core processor with Android 8.1, Oreo (GO Edition). It also comes with a 1 GB of RAM, an internal memory of 8 GB. It has a back/ rear camera of 5 MP + 5 MP and an 2 MP front camera with a 4000 mah Li-Po battery capacity to push all this. Below are Online stores you can buy iTel P13. The Online stores Jumia, Gearbest and Konga. $60 – $90 Check the Price in your country below by Clicking on Checkout Lowest Price to get the best deal and buy online. The iTel P13 comes with dual SIM slots and supports the 2G, 3G but does not support 4G LTE Band for its connectivity. It has inbuilt with it Wi-Fi capability and the ability to create Wireless Hotspots. The iTel P13 comes with a display of 5.45 inches. It uses the IPS LCD display technology. It has a resolution of 960 by 480 pixel. The display is quite good quality for phones within this price range. The iTel P13 boast of a Quad (Four) Core processor clock at 1.3 GHz, the chipset is the MediaTek. The GPU is the Mali 400 MP2. The iTel P13 also comes with a 1 GB of RAM, an Internal Memory (ROM) of 8 GB. The storage space can be expanded via the micro-SD slot (Maximum allowable Storage for Micro-SD is 32 GB and it uses a dedicated slot). The iTel P13 comes with Android 8.1, Oreo (GO Edition) out the box. The iTel P13 makes use a 5 MP + 5 MP back or rear camera with LED flash and a 2 MP front camera with LED flash light. The iTel P13 has a battery with the capacity of 4000 mAh. The Battery uses the Li-Po technology and it is non removable. This battery could last for a day on an average heavy usage. My itel p13 is currently not showing the task bar so that I can move out of the application. What can be the problem? My itel p 13 force close page anytime am using. I’m using itelp13 and only one sim is active;restarts automatically,apps Force close and cannot operate a lot of apps! Please give me a feedback sooner.Thank you! My itel p13 screen is not displaying but the phone seems to be active. the screen is just dark…no display. How do i fix that? My itel p13 is asking for a privacy protection password yet I don’t remember setting any how will I open my phone? The problem of this phone is the 512mb ram,and you are saying the phone is 1gb ram. Diamond Bank app or what? Well itel p13 it never drop from me nither anybody but to my out most surprised the screen when white can see any apps ,video,plc,or contact some day it do well later back the same….. The RAM size is actually 1 GB, but some are been used already by the OS and in built running apps. This is the worst phone so far I’ve used in my entire life.It is the opposite of its specifications.It’s just 1 month & 2 days since I bought it at slot,& have never enjoyed its use.Anyways,I’m planning on selling it to get a new phone from another phone brand.Never ever will I patronize itel nor advice anyone to do likewise. The iTel P13 does not have 4G network capability. If you want it to be set to 3G only, Select 3G on the network settings. You need to improve the the specifications of this phone like ram. 1gb ram is not enough cause we are in the world technology. People needs a phone of big ram so that the performance of the phone shoud be fast. Even internal memory is very low, 8gb and doesnt tally with the beautiful of phone. Thanks. 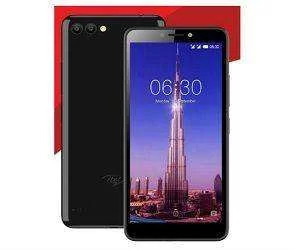 You can check other iTel phones, this is actually a low end phone. The RAM of the phone is small, so please try to clear unused apps to enable you perform your task more efficiently. Yes, the phone has low memory so it is expected. The phone uses a 1 GB of RAM, try clearing running apps and i believe browsing experience will be a little faster. It would have been so good but it heats down around the camera. To Use the camera, please use the Camera app on the phone. To fix the heating issue, please carl care center close to you, they will proffer a solution.